Have you noticed that traffic barricades have stripes that either slope down to the left or to the right? 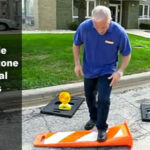 This is to meet the requirements stated in the Manual on Uniform Traffic Control Devices which specifies that traffic barricades must have alternating orange and white striping which slopes down in the direction that traffic is expected to pass on. So a ‘Right Barricade’ would be placed on the right and the striped would be sloped upward at a 45 degree angle. A ‘Left Barricade’ would be placed on the left and the stripes would be sloped downward at a 45 degree angle. 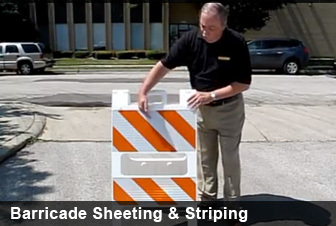 Plasticade has a variety of barriacdes with sheeting which allows easy switching out of the stripes so that it can be used as a ‘left’ or ‘right’ barricade as needed. 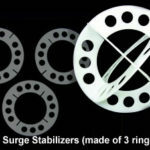 Plasticade barricades are also made of very durable plastic which can stand up to weather and traffic.